The Academic Letter program is funded and awarded by the Academic Booster group. It is a recognition program for students who work hard and give their best effort in academics. Names and levels earned through the end of fall semester will be posted in early May in the courtyard outside of the Counseling office. For Level 7 seniors, the student list will be published at the bottom of this page. *Students can opt out of having their name published on any lists. Please email Jennifer Cyrnak to opt out. Juniors: awards will be available for pick up outside the counseling office in May (dates tbd). Any awards not picked up by May 24, 2019 can be picked up in May 2020 with the next round of awards. Seniors: awards will be distributed to you by Leadership. For any discrepancies or questions, please email Jennifer Cyrnak. Please allow at least 48 hours for a response. Please note: If you previously received a block letter from another department, a second block letter will not be provided by the Academic Boosters. 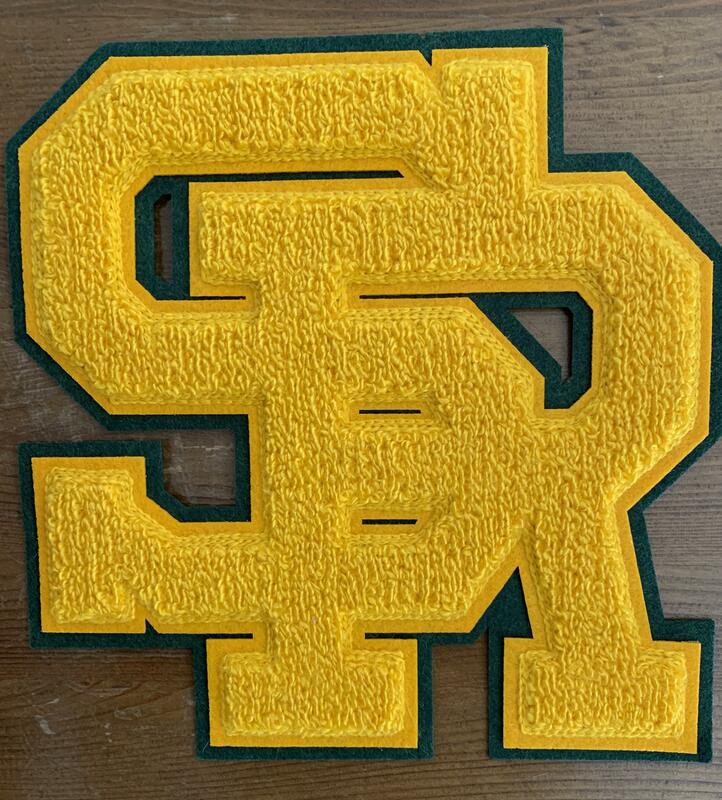 The chenille block letter is usually sewn onto the left chest of a letter-man or sports jacket. Q: What is a "weighted academic GPA"? A: A weighted academic GPA includes all classes except physical education & dance, teacher aide, repeated classes, courses taken outside of SRVHS (with certain exceptions), and continuation school. A student must not have been dropped from a class because of disciplinary action or attendance reasons during the semester of application. Q: Can I opt out of the program? A: Yes, please send the parent volunteer an email and your name will be promptly removed from any list. Q: If I opt out of having my name published, am I still entitled to the award if I have a qualifying GPA? A. Yes, freshman are eligible after they receive their first semester grades in high school. Q. I am a transfer student. Do I qualify? A. Yes, if you have a qualifying GPA. Please email the parent volunteer to find out where to send your transcript. Q: When do I apply? A: There is no need to apply. You will automatically be considered for the program. Q. Do I need to request my award? A: No, it will automatically be provided to you or available for pick-up. Q: When and how are the awards distributed? A: The awards are distributed once a year, in May (and therefore may encompass more than one level). Juniors are expected to pick up their awards. Seniors will have their awards distributed by Leadership. Seniors who earn Level 7 will receive an honor cord that they can choose to wear at graduation. Information about the distribution of awards will be included in the Wolf Pack Weekly emails. Q: How many levels can I obtain during my high school years? A: There are a maximum of seven levels awarded during the four years of high school - one level for each completed semester. Since the senior year spring semester GPA is not finalized until after the awards are given, the seven levels cover all of 9th, 10th, and 11th grades, and the first half of 12th grade. Q: Will the Academic Letter award help me get into college? A: The Academic Letter program is not designed to enhance college admissions. Its purpose is to recognize and reward your hard work while in high school. Q: Whom can I contact if I have any concerns? A: Please contact the parent volunteer Jennifer Cyrnak, or the Academic Booster President, Nancy Daetz. A: This program is run and funded by the Academic Boosters group. We rely solely on parents to volunteer their time to collate the lists and distribute the awards. Without parent volunteers, the awards cannot be distributed. Please consider helping out!